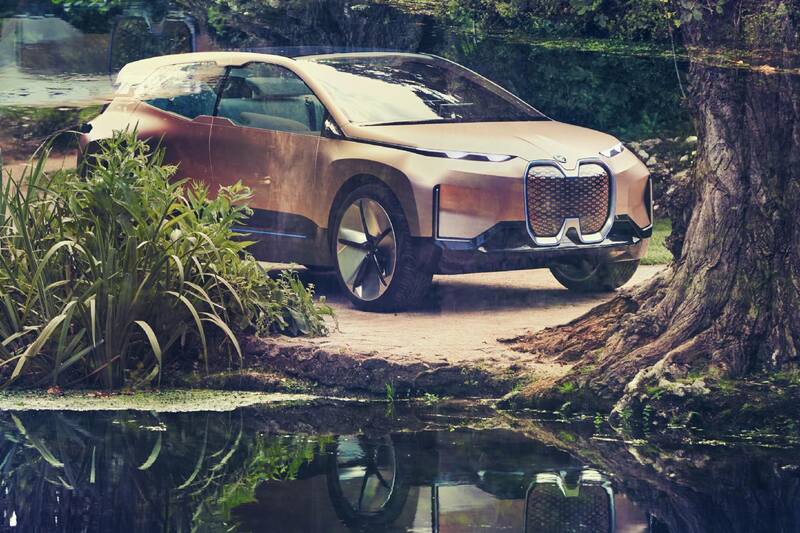 BMW have announced a new concept car, the BMW Vision iNEXT. 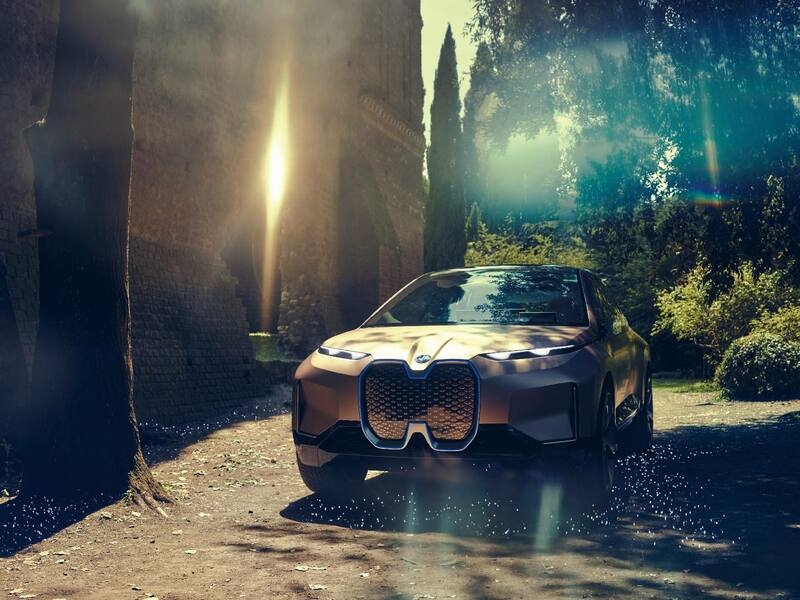 It is said to form the building blocks for the future of the BMW Group. 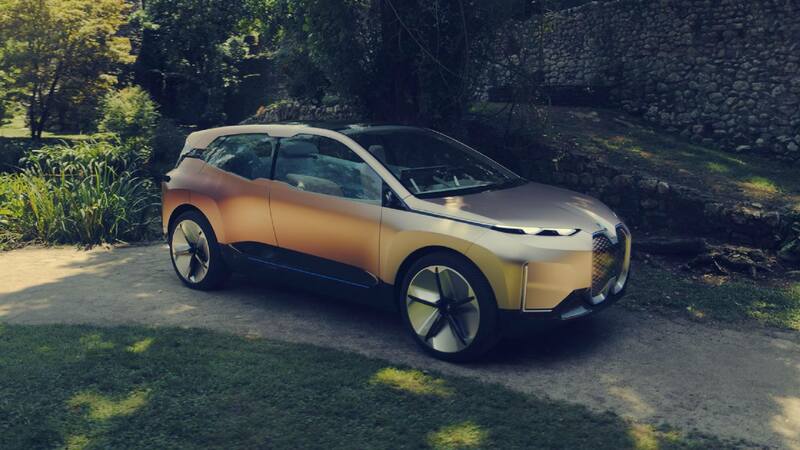 Addressing the question: “How will we be moving around in future?”, the iNEXT builds on the 2007 “project i” and the BMW i3. 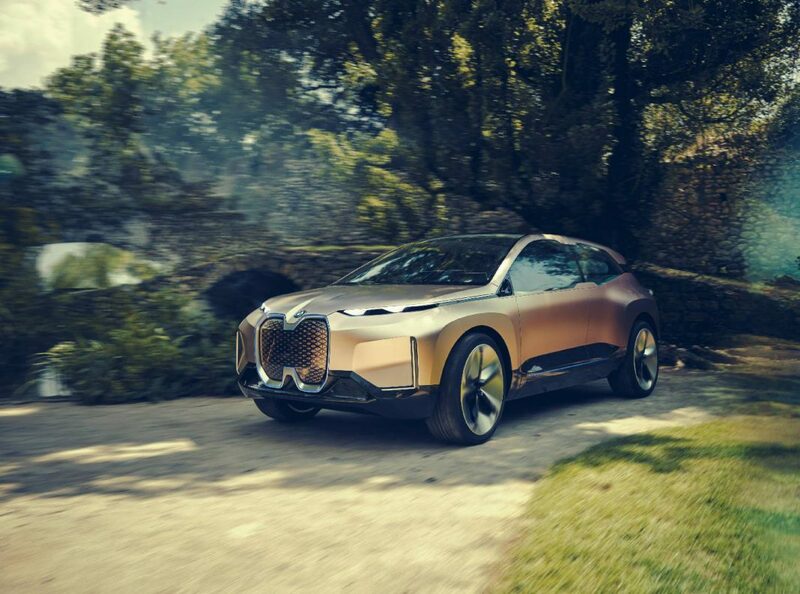 At a time when electric cars and futuristic forms of mobility are key talking points, BMW hope the concept will steer their future approach. 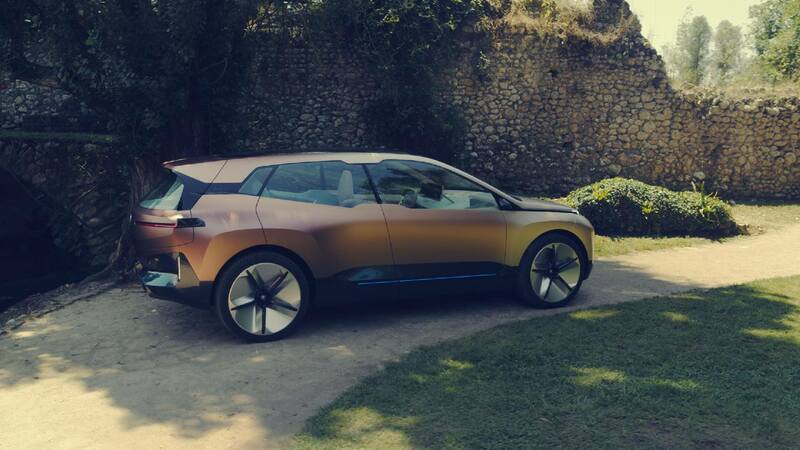 Whilst a concept today, the BMW iNEXT presents a vision of a vehicle BMW will bring to market in 2021, most likely as a replacement to the i3 platform. 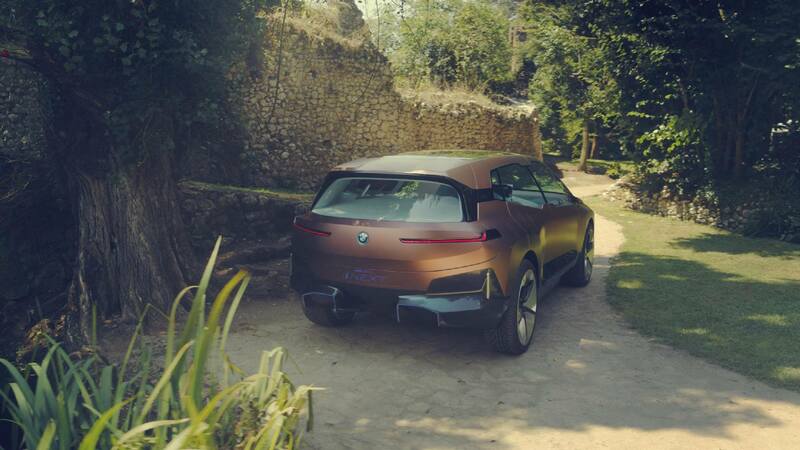 The press release appears to confirm that the BMW iNEXT will be a new technology flagship for BMW. 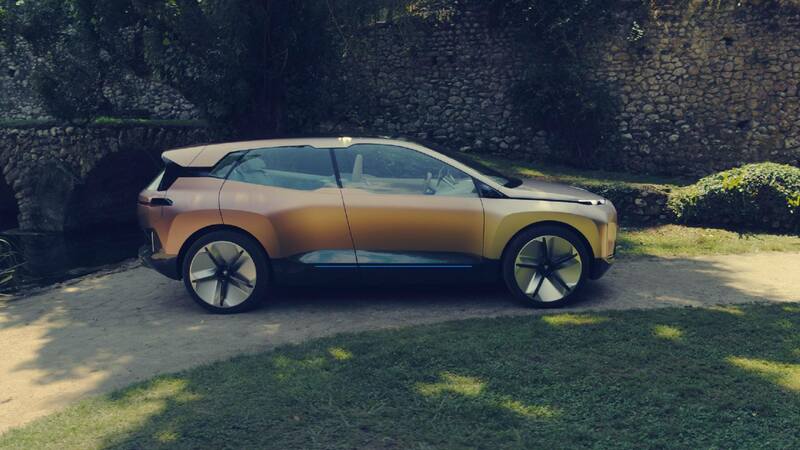 The BMW iNEXT gets BMW SAV proportions with a futuristic Liquid Greyrose Copper exterior colour scheme that changes between warm copper and dark rose. 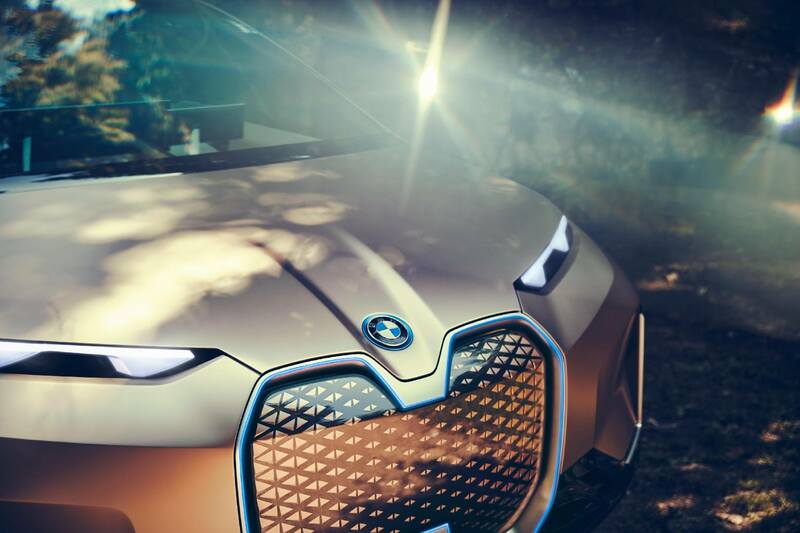 The design incorporates a large, interlinked double-kidney grille and a side window graphic, the blue accent surfaces at the front, sides and rear hark back to the BMW i Vision Dynamics design language. 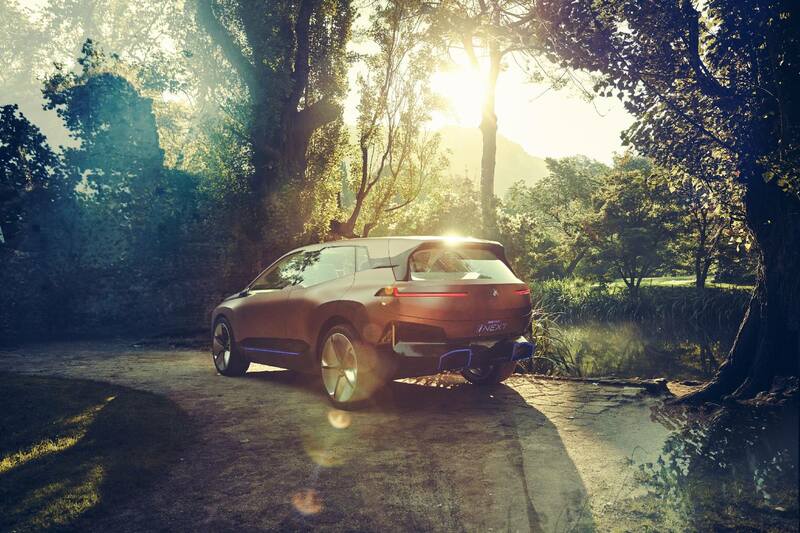 As electric cars do not require cooling, the kidney element now serves as an “intelligence panel” housing various sensors. Many of the parts have been 3D printed while the front gets super-slim headlights. 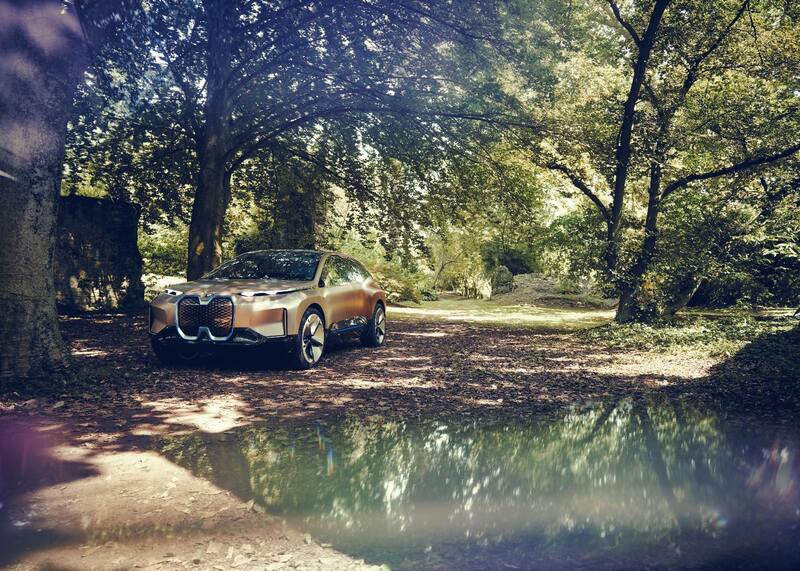 The iNEXT has large 24-inch wheels and the traditional concept trick of cameras for the exterior mirrors. Illuminated touch sensitive panels replace door handles and the two doors open towards each other, dispensing with the B-pillar. Plenty of carbon fibre has been incorporated into the structure. 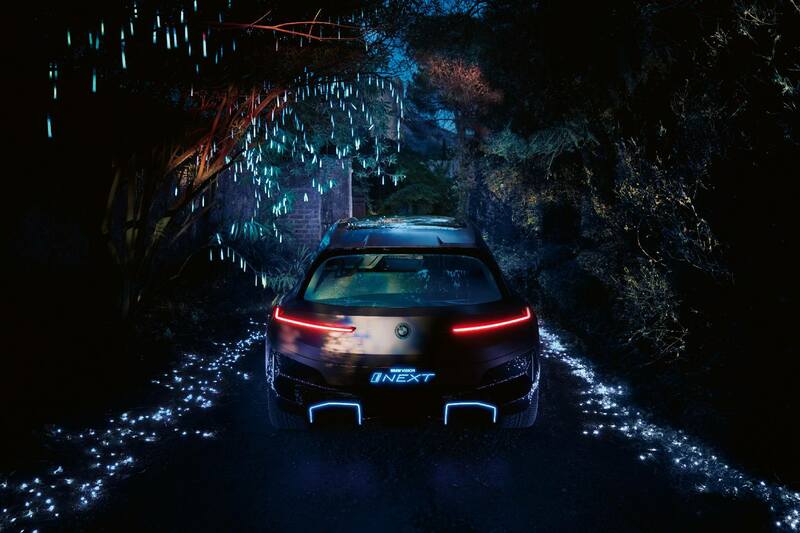 Inside, the BMW Vision iNEXT driver can choose to either drive themselves (in “Boost” mode) or be driven (“Ease” mode). In “Boost” mode, the steering wheel and displays are positioned clearly towards the driver. When “Ease” mode is engaged, the driver’s immediate environment changes: the steering wheel retracts slightly, creating a more open sense of space. The display panels switch from driving-related content to “Exploration Mode”, which provides the driver and passengers with suggestions of places and events in the surrounding area that could be of interest to them. The front seat head restraints can also be folded back, allowing the people in the front to communicate more effectively with the passengers in the rear. The centre console between the front seats uses a matt, open-pore wood finish. Handwoven Enlighted Cloudburst Jacquard cloth extends across entire seat area and into the side panelling. There are no screens or controls anywhere other than in the steering wheel and drivers area. 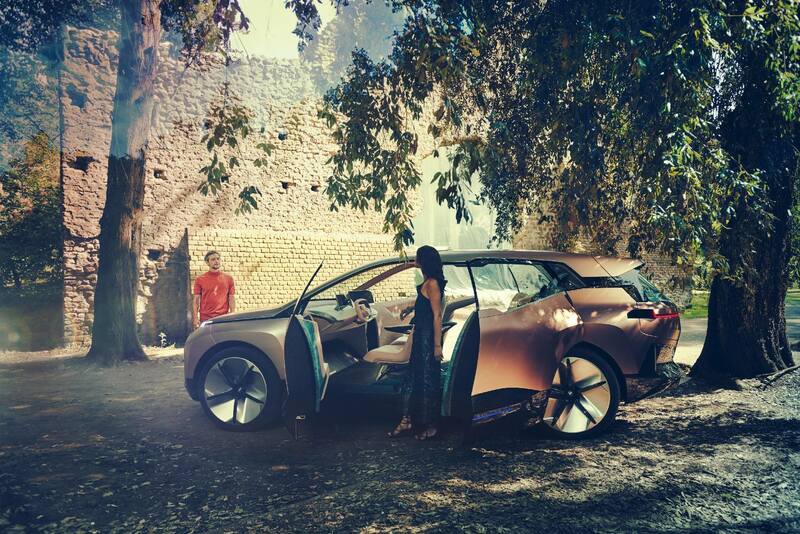 Intelligent technology is integrated out of sight. 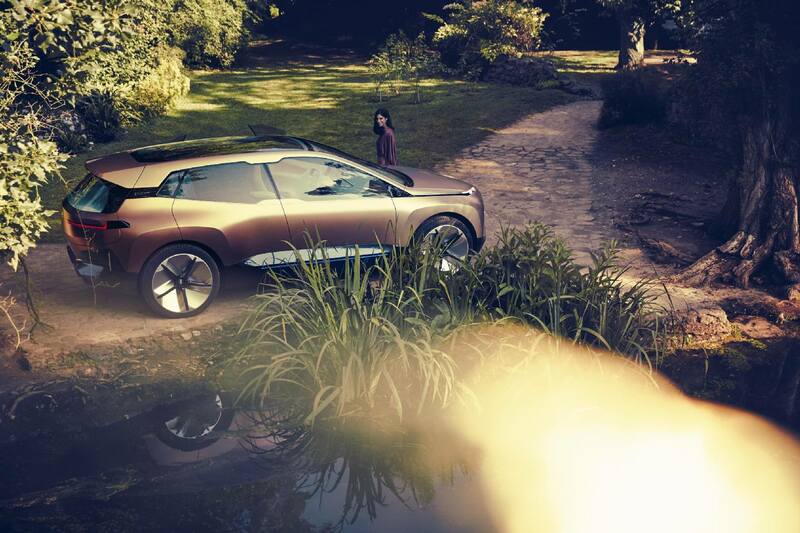 For example, BMW propose that various functions might be operated through wood or cloth surfaces in the near future. 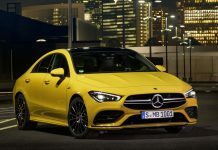 No performance details have been released yet, the release talks only of the technological implications of the design study.